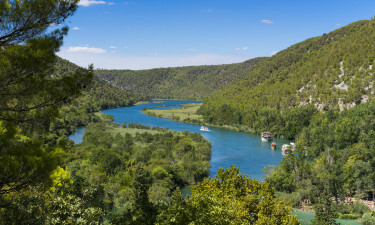 Discover the scenic views, sandy beaches, and historic towns of Croatia’s coastline with camping luxury from LUX-camp. The Dalmatian coast has long been a popular holiday destination within Croatia, and now you can find out why. Why choose the Dalmatian Coast for a camping holiday? Set between the mountains and the sea, with islands dotted along the coast, this is a beautiful region. The influence of the Roman and Ottoman Empires can still be seen in ancient buildings and structures. Today, tourism is an important part of the region’s economy, with hotels, resorts, and luxury camping. Stay in a bungalow tent, mobile home or luxury tent among leafy gardens, close by the ocean. There are sports and games on the beach, a large pool, and activities from table tennis and mini golf to parasailing and banana boats. 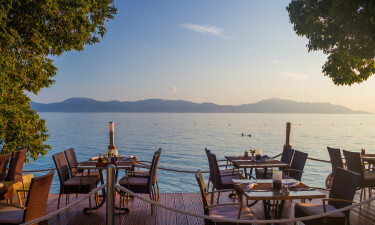 Enjoy traditional cuisine in the Dalmatian restaurant. It’s hard to get closer to the sea than you’ll be in one of the mobile homes at Solaris, a luxury camping site set among pine trees. With five beaches to choose from, you can enjoy a family, club, or spa atmosphere. It’s the perfect base for exploring the national parks, too. Convenient for the towns of Biograd, Zadar, and Šibenik, Soline is recognised as one of Croatia’s top holiday camping sites. Activities at the site include volleyball, basketball, and bowling, Dalmatian style. Swimming, trekking, horse riding and cycling bring you closer to the natural sights of the region. The beaches of the Dalmatian Coast are among the cleanest in Europe, with many earning the Blue Flag award. With miles of coastline to choose from, you can find a secluded cove or a busy stretch with activities and ice cream sellers. National parks and nature reserves provide stunning scenery, as well as a home for marine and forest life. There are rugged cliffs and scenic vistas around every corner. The walled city of Dubrovnik, at the east end of the coast, is one of the most popular tourist destinations in Croatia, famous for its historic old town. Built on a hillside, it is a picturesque place with steep, winding streets. 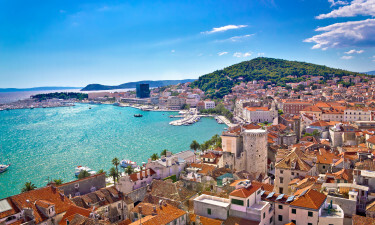 Split, the country's second largest city, is known for Diocletian’s Palace, the remains of a Roman fortification now used for theatre and concerts, as well as shops and stalls. As well as the cities, there are manmade attractions in the form of water parks and various sports and activities. The region has several national parks, where you can walk among forests and spot wildlife. The islands dotted along the coast each have their own distinct character, some quiet and sparsely inhabited, others party venues. 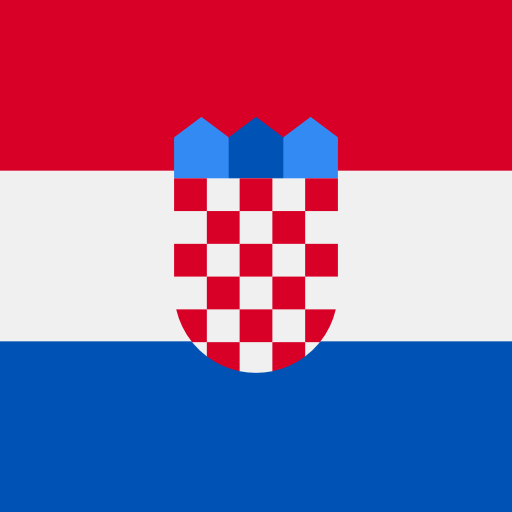 Croatian cuisine is influenced by the gastronomy of the surrounding countries, including Hungary and Austria. Along the Dalmatian coast, you will find Italian style dishes alongside traditional Croatian fare like cheese and sausage. Lavender and almonds grow well in this region, and you will often find them used in dishes. The Mediterranean climate along the coast makes for hot summers and mild winters, so the area is a popular destination for winter sun as well as summer holidays, experiencing more than 2,000 hours of sunshine every year.